The Upgrade Place Blog | Technology News on Computer Memory, Storage Drives, and more. : StoreJet 25H3P - It's Got It All! StoreJet 25H3P - It's Got It All! 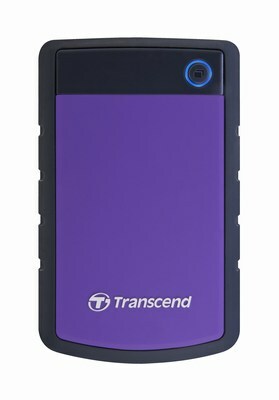 Transcends NEW StoreJet 25H3P portable hard drive combines outstanding performance with a three-stage shock protection system, that meets rigorous U.S. Military drop-test standards. This powerful hard drive has up to 1TB of Storage space that can store about 200 DVD movies with transfer speeds up to 90MB/s. Imagine transferring an entire DVD movie in less than a minute! The StoreJet 25H3P combines powerful storage, outstanding performance and superior durability.